"'The stories from World War I are worse than anything I have ever read.' Kerry Greenwood"
The creative inspiration for films have come from various sources throughout history but in this modern era most people would think graphic novels and young adult fiction are the critical means for screenwriters. Despite these significant influences on stories over the past decade, audiences may be surprised at the number of films with their roots in the theatre. Due to the limited audience for many stage productions, these stories can go unnoticed until they make it to cinemas. From the multitude of Shakespeare’s plays to Cat on a Hot Tin Roof to The Odd Couple to Driving Miss Daisy, the theatre has provided some rich history and a deep well of material for filmmakers. 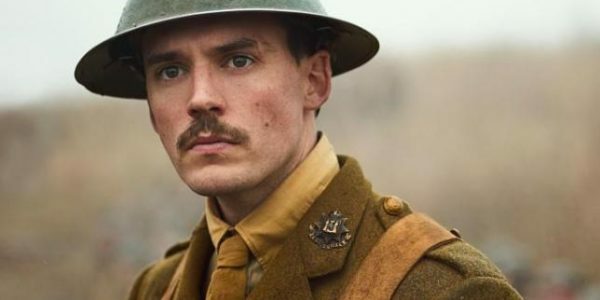 The reception of these stories with their origins on the stages of the world have met with varying degrees of success, but it is no wonder they continue to be accessed for films, including Journey’s End. Based on the 1928 celebrated play written by R. C. Sheriff with Sir Laurence Olivier playing the tragic lead character, Captain Stanhope (played in the film by Sam Claflin). Set in 1918 in the trenches of France at the end of World War I, showing the battle scars of the officers of a British Army infantry company who are waiting for the imminent final push by the Germans called Operation Michael. This post-war production was the benchmark for all stage performances on this aspect of British and world history. Toward the end of the first World War, the British had moved to rotate companies through the trenches on six-day assignments. 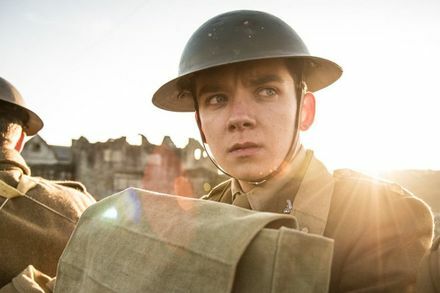 Second Lieutenant Raleigh (Asa Butterfield) has arrived on the field of battle in time for the transition of the companies and he is looking to serve alongside his former classmate and friend, Captain Stanhope (Claflin). Despite opposition from the leadership, the young officer’s request is granted and the soldier heads to the frontline near Saint-Quentin, Aisne where Stanhope’s battalion is stationed. The realities of war begin to dampen Raleigh’s initial enthusiasm, as he trudges through the mud and deals with the stench of death. He gains solace as he heads into the officer’s dugout in the trenches. Raleigh's satisfaction in seeing his long-standing friend is quickly dampened by the mood of the company’s leadership and the less-than-enthusiastic response from Stanhope. The respected leader had come to rely on alcohol as a means of coping with the company's sixth tour in the war and the reminder of his past by the former classmate just adds to the tension in the bunker. This emotional strain turns to madness as the inevitable invasion looms on the horizon for the men and despite the encouragement of Stanhope's leadership team, the dark conclusion to the future battle only adds to the depressive nature of this band of brothers. The challenge of migrating a stage production to cinemas is successfully capturing the characters and emotion of the script on a much broader canvas. Relatively unknown director Saul Dibb was able to accomplish this by gathering the right players to fulfil each role. Along with Butterfield and Clafin, to round out the cast with Toby Jones as Private Mason and Paul Bettany as Lieutenant Osborne, this was an ensemble that managed to capture the powder keg atmosphere of the officers unit. The tension was felt from the opening credit to the narrative slide explaining the events that occurred in actual history. The casting and the performances were outstanding and should receive accolades for the right men to portray these memorable and tragic figures. The difficulty with this film is the abject melancholy that overlays every scene. Despite the brilliant performances by all of the main actors and the sporadic moments of humour provided by Jones and Stephen Graham as Second Lieutenant Trotter, this is a tale of woe and a depiction of mankind at its worst.